MIT Meeting Asks: Can Digital Learning Include the Developing World? BOSTON—As educational technology improves, digital learning is expected to expand its reach in the developing world. 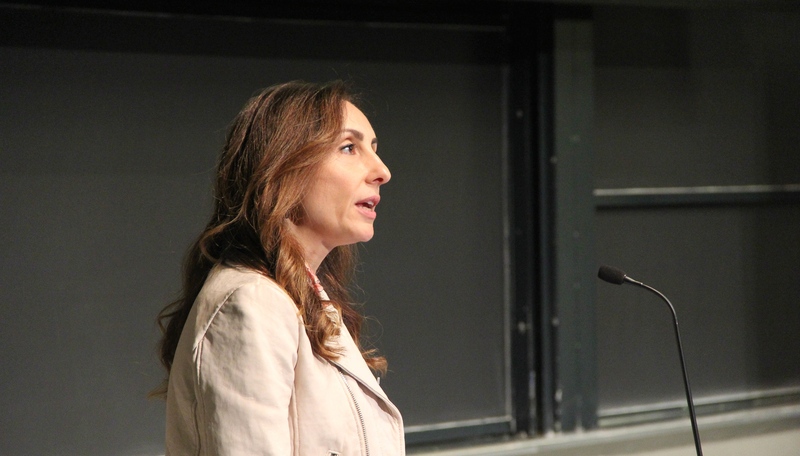 Last week, over two hundred practitioners in the field who belong to the Learning International Networks Consortium convened at the Massachusetts Institute of Technology to explore how to speed up such inclusion. When Massive Open Online Courses (MOOCs) first appeared on the scene, the naïve assumption on the part of some academics was that the best universities would put their content, free of charge, on the Worldwide Web, and the problem of the developing world’s access to higher education would be instantly solved. But Internet access is not a given, even in industrialized countries, and both professors’ and students’ mindsets often need to be changed before digital-learning best practices see wider adoption. The MOOC enthusiasm has subsided, and experts at the conference said persistent obstacles to online instruction still persist. Dennis Freeman, the dean of undergraduate education at MIT, said that even at the institute, some professors believe that no teaching has occurred unless they have covered the blackboard with equations and covered themselves with chalk. He added that the number of teaching hours is irrelevant—what matters is whether or not learning occurs. In the Arab world, sheer numbers call for leap-frogging into digital learning, said Maysa Jalbout, CEO of the Abdulla Al Ghurair Foundation for Education, who gave a keynote address. Over half the 385 million people who live the region are under 25 years of age, she said. A good many are refugees whose educational prospects have been shattered by political conflicts. Youth unemployment in the region is also the highest in the world, partly because of the poor quality of education, except in some centers of excellence. But accredited online learning in the Arab world is scarce, if not nonexistent, and Arab governments have refused to offer credit for online courses from providers. As technology makes jobs redundant, even those who are already employed need to acquire new skills or upgrade existing ones. In a bid to help with access to continuing education, the Abdulla Al Ghurair Foundation for Education announced a program that will allow young people working in certain STEM-related fields to gain professional credentials online. They can earn a “MicroMaster’s degree” from MIT after taking a semester’s worth of classes online. In the months to come, the foundation plans to collaborate with other leading universities on similar programs. Job seekers in the Arab world have suffered because MOOCs don’t offer accreditation that employers recognize, a difficulty that the new program is trying to overcome. “If we are offering the best education online, from the best university in the world, it is going to be very difficult for anyone to say this is not a valid education,” says Jalbout. If employers hire or reward those with such credentials, that will change the dynamic entirely, she said. In fact, that is what the foundation hopes will happen. Skeptics who worry about the integrity of online learning might be interested to know that the top universities issuing the credentials have given this matter a great deal of thought. Anant Agarwal, CEO of edX, the online portal founded by Harvard and MIT, spoke about innovations to eliminate cheating in online exams. When a student takes a timed exam, a computer program can generate a set of problems randomly each time so students can’t share the answers to a routine set of questions. Administrators can proctor a student’s exam via webcam. Still, digital learning cannot be for job seekers alone. If educators wait for students to finish school before introducing them to online learning, it may be too late to turn them into critical thinkers, said Naveed Malik, Rector of the Pakistan Virtual University. MOOCs are not the only game in town. An international panel discussed MIT Blossoms, a program that creates math- and science-based videos aimed at high-school students. The program seeks to link concepts students have learned from textbooks to their everyday lives. Teachers from Saudi Arabia, Jordan and Lebanon were among those who have created science-based videos rooted in their own cultures. Some advocates of educational technology underscored the fact that connectivity is not a prerequisite for digital learning. Before the Internet became popular, people who bought computers accessed information from diskettes and CD-ROMs. So why should schools or universities worry about getting and paying for sometimes-expensive Internet access to download an old video or textbook, especially when that content is meant to be distributed freely? Information does not have to be fetched from the Internet, said Cliff Missen, director of the WiderNet Project, which is based at the University of North Carolina at Chapel Hill but seeks to provide low-cost, high-impact technology to developing countries. Preloading tablets, laptops, and computers sold in emerging markets with educational resources is one solution. The trick, he said, is for good librarians to develop the most useful collections for end users by working with educators to add and organize locally relevant content. Change doesn’t happen overnight, even when governments invest in all the latest digital-learning tools. In Uruguay, the One Laptop Per Child project gave even children without economic privileges access to computers and the Internet, said Cristobal Cobo, director of the Center for Research of Ceibal Foundation, which conducts research on educational technology. From the start, he said, the focus wasn’t just on hardware or software but on training teachers, changing practices, and transforming the way people teach and learn. Researchers from India, who were part of the Connected Learning Initiative CLIx, spoke of their project to determine if high schools in rural and semi-urban areas are ready for digital learning. The researchers are asking if there is adequate infrastructure, and “buy-in,” for innovative learning. If the answer is no, experience tells them interventions will be necessary before rolling out such projects on a large scale. Meanwhile, connectivity is improving in the Arab world. In his presentation, Nafez Dakkak, the founding director of Edraak.org, an online edX portal for Arabic speakers and an online education provider in its own right, said that nine out of ten young people in the region believe that access to the Internet can help them realize their aspirations for employment and education. There are 135 million Arabic-speaking Internet users, a number that is growing at 20 percent annually, he said. As the digital divide closes and more young people get Internet access, the question remains whether these changes will help young Arabs get affordable access to quality education.